Sheniz Tan is Asfar’s CEO and established our organisation in 2011-12. Between 2012 to 2015, Sheniz also acted as Senior Editor for the e-Journal. 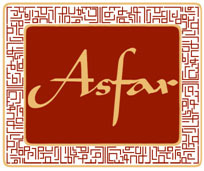 Sheniz is responsible for all of Asfar's international programmes, strategy and development consultancy. Sheniz graduated from the University of Durham having read Politics and History of the Middle East with Turkish at the Institute for Middle Eastern and Islamic Studies. Sheniz specialised in change amongst tribal communities, particularly the Yörüks, in Anatolia, Turkey and also studied Turkish at Ankara University and later Advanced Turkish and Persian at SOAS Language School. Sheniz, studied Law at BPP Law school for a year, before deciding to develop a career in the NGO sector instead. Sheniz's previous experience/responsibilities have included being a member of the British Association for Turkish Area Studies ((BATAS –www.batas.org.uk) and sat on Council between 2012 to 2015. Sheniz was also a member of the Institute for Fundraising and the British Institute at Ankara. Sheniz is a former Junior Fellow of the Royal Anthropological Institute. Sheniz holds business management qualifications including: a Level 5 qualification in Management and Leadership with PwC and completed her Level 7 qualification in Strategic Management in 2017 and has recently been awarded Chartered Fellow status through the UK's Chartered Management Institute. In September 2017, Sheniz started her Masters in Reconciliation and Peacebuilding at the University of Winchester. Currently, particular research interest areas include: Community conflict resolution education, with particular focus on the Refugee Crisis; Child Marriage in the Caucasus; and Peacebuilding in the Middle East, the Caucasus and the Balkans. In 2016, Sheniz provided key advice to the House of Lords' International Relations Committee in support of developing the UK Government policy on young people in the Middle East. The final policy, the Middle East: Time for New Realism was published in May 2017. Sheniz has worked, volunteered and acted as a consultant for a variety of different organisations over the past 11 years, including: the British Youth Council; House of Commons; Kurdistan Regional Government of Iraq; Liberal Democrats Party; yesMinister; Serco; Westminster Forum Projects; and LITC. In most recent years, Sheniz has focused more on international development, youth and sport for peace organisations, and acted as a Project Development Consultant for Rinova. Between 2015-2018, on behalf of Rinova, Sheniz managed a range of strategic EU funded programmes including in relation to Refugees, specifically Women Refugees, Apprenticeships and Intercultural Mobilities. Sheniz is an experienced Bid Writer, Project Manager, Quality Assurance and Evaluation professional. Sheniz has project managed key government, EU-funded and corporate programmes, including: European Social Fund; Skills Funding Agency; Youth Volunteering projects; Youth in Action; Erasmus+; Sporteducate; EU Justice; Interreg and Sportivate. Keti Tsutskiridze is a young freelance project developer for Asfar. Since 2010, Keti has been a Trainer/Facilitator of European-based training activities, study sessions & seminars. Keti spent one voluntary year in Berlin, Germany, where she worked for Asfar partner CRISP, as the coordinator of Social Leader forums, cross border programmes in Eastern Europe and South Caucasus. Keti's main training specialism include: Conflict transformation; Communications; Presentation skills; Human Rights including rights of internally displaced people; Gender Equality. Keti's interests and expertise focus on the effective use of innovative methods of non-formal education such as Simulation Games and Labyrinth Theater as a peace building tool between divided individuals and groups. with no recourse to public funds and developing community relations. international context and to promote empowerment and equality. Ben graduated from the University of Birmingham with a Bachelors in Philosophy in 2015. And recently finished a Masters in International Relations at Durham University, focusing his dissertation on the conflicts in Syria and Libya. Ben is also preparing to pursue a PhD in conflict resolution/peace-building, using the lens of hybrid political orders and its impact on emancipatory, positive peace. Previously, Ben has worked for Global Policy, a peer-reviewed academic journal, where he helped encourage academic and policy collaboration between the Northern universities; Ben also has extensive experience as an organiser for a political party; and, as a research assistant for the School of Government and International Affairs at Durham University. Currently, Ben is on a British Council funded internship, working for the African Chamber of Commerce in Shanghai. Omar holds an MSc International Security and Global Governance from Birkbeck, University of London and a BA International Business with Arabic from the University of Westminster. He has previously worked in research roles focusing on the political and security affairs of the MENA region. In his spare time he volunteers with a local homeless charity, enjoys travelling, reading and playing chess.